This is another of the paintings done on our recent painting trip to Normandy which will be in the show at the Yarmouth Frameshop in February. I've just returned from a painting workshop in Normandy taught by Carolyn Walton, run by my friend Joelle Feldman. What a great time we had! 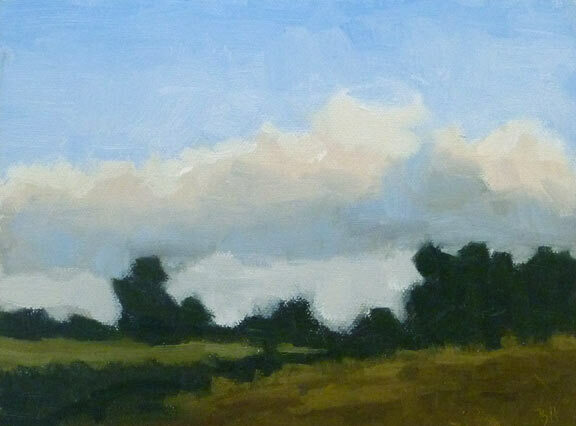 This is my first painting of the field next to the house we rented in Pont L'Eveque. We had the most beautiful skys, accompanied by some rain. 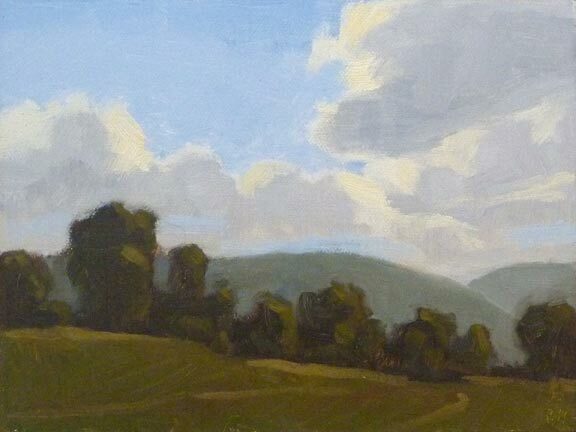 Carolyn is a master of clouds, and I learned a lot from her demo and mentoring on this one. Joelle, Suzanne deLesseps, and I will have a show of the paintings from this trip in February at the Yarmouth Frameshop and Gallery in Yarmouth, ME in February. I'll keep you posted as to the date.